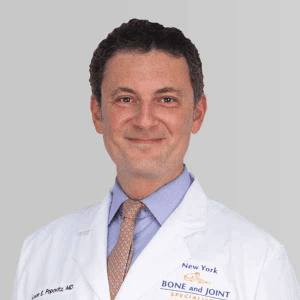 Leon E. Popovitz, MD, NYC’s top orthopedic hand and wrist surgeon and co-founder of New York Bone & Joint Specialists, is here to offer you comprehensive care for your hand or wrist injury. With years of experience in non-surgical and surgical treatments for orthopedic conditions, Dr. Popovitz strives to provide top-notch orthopedic hand and wrist care to all of his patients, using his expertise to make treatment as simple and painless as possible. A nationally renowned expert in arthroscopic surgery, Dr. Popovitz specializes in the treatment of arthritis, fractures, and other conditions affecting the hand and wrist. He’s guided athletes at every level of competition through injuries ranging from minor tears to comprehensive reconstructions, always with the same commitment. A Fellow of the American Academy of Orthopedic Surgery, he’s proudly served as an orthopedic surgeon for the U. S. Open Tennis Championship. 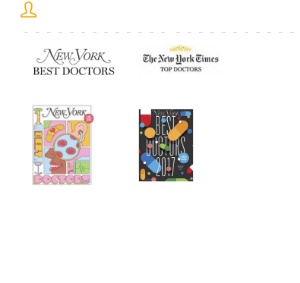 New York Magazine has listed Dr. Popovitz as one of the best Orthopedic Surgeons in NYC, while the New York Times lists Dr. Popovitz among the top orthopedic surgeons in its Superdoctors list. The Consumer Research Council of America ranks Dr. Popovitz among the Top Surgeons, Top Orthopedic Surgeons and Top Physicians since 2004. Dr. Popovitz has also been inducted into the Leading Physicians of the World by the International Association of Healthcare Professionals. Each of the New York Bone & Joint centers bring together expert specialists across multiple fields of orthopedic surgery, all of whom display the same level of dedication to the wellbeing of their patients. The ultimate goal of New York Bone & Joint Specialists is to provide impeccable care and peace of mind to every single patient we treat. Why Choose NY Bone & Joint Hand and Wrist Doctors? For more information on your specific hand and wrist injury, consult the pages below. You will find comprehensive information on common symptoms, how the condition is diagnosed, our recommended course of treatment, and expected recovery timelines for each condition.